WHAT IS A CONTRACT PACKAGER? We have been providing our contract packager services to satisfied customers all over the world for more than 50 years, during that time, we have mastered the science and art of product development, production, and packaging. We give our customers personalized attention. Our contract packager services can manufacture a product with your proprietary formula, or develop a product exclusively to meet your unique needs. We can produce your product in any volume. 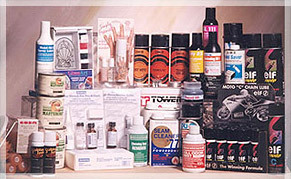 We can fill aerosol containers that only hold 1 ounce or containers that can hold up to 24 ounces. We can fill to a size as low as 1 gram or as large as 1 gallon. 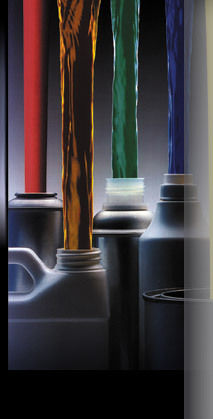 We provide a variety of household and industrial liquid filling services. Our liquid filling services can handle any liquid for packaging. We can design and produce labels for your product's container using paper, or pressure sensitive, or sleeve labels, as well as in-house screen printing methods. We also offer blistering and clamshell packaging. Our clamshell packaging is sturdy but easy to open. We have clamshell packaging in a number of different sizes. Our blister packaging is secure but not difficult to open. Various shapes are used in our blister packaging.